As some of your readers will recall, the late Maj Gen Dwight Wheless was forced out as the CAP national commander in less than 1 year of time served. The events of his relationship with a civilian employee [name redacted] at CAP national headquarters were recorded in June of 2005 on capblog. 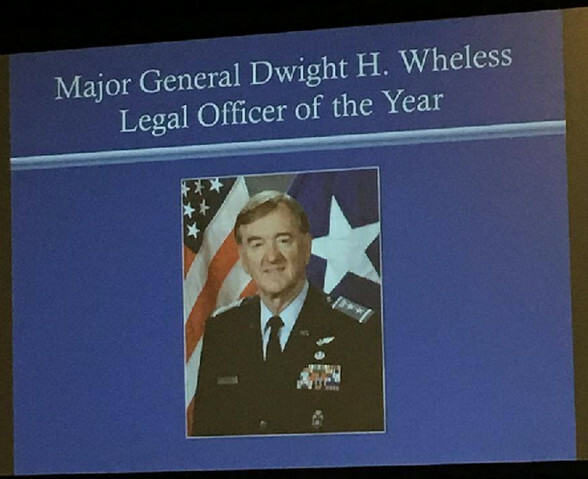 Later, Dwight Wheless was CAP national legal officer when nearly all IG complaints were halted to reign in the Total Force partnership with the Air Force. It seems fitting for Col Robert M. Karton to receive the first Wheless Award since he was the one who stonewalled Maj Michael Bell’s membership reinstatement because Bell was moving to file a discrimination complaint against Col Richard Greenwood and others in Georgia Wing. Karton also deviated from Civil Air Patrol regulations in order to acquire Lt Col Bobby Hill’s termination. I have seen this time and time again since the 1990s. CAP leaders reward lower ranking commanders and inspectors for taking on the risk of dirty deeds so that they may advance in the clear. Col Jayson Altieri was invited last Saturday, along with Maj Gen Mark Smith, Civil Air Patrol National Commander, to present the first Maj Gen Dwight H. Wheless Legal Officer of the Year Award to Col Robert M Karton of the Illinois Wing at the 2018 Civil Air Patrol National Conference in Anaheim, CA. 17 Comments on "CAP Old Yellow Stain Receives Wheless Award"
LOCK THEM UP, LOCK THEM UP, LOCK THEM UP. I’d like to nominate John Postl for next year’s Wheless the CAP Weasel Award. In fact, if y’all did a nominations post we could add to it over time as the propeller turns. What say you? The people of Alaska are getting a clue from this site about Civil Air Patrol abuses and pork. m. Department of Public Safety. The legislature included several expressions of legislative intent in the appropriations to the Department of Public Safety including that that the Alaska Wing Civil Air Patrol actively search for non-state funding for its operations. In response to this, Carl Brown AKWG CC asked that funding remain at $450,000. That is an insane amount of money for these buffoons. For someone who was a former wing commander, he doesn’t know CAP all that well since he constantly has to read his scriptied notes to tell about the CAP. 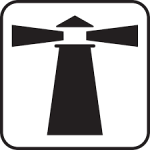 Why does MNWG get state appropriations of $80,000 per year when they don’t do much? Florida Wing, the largest CAP Wing, has no state appropriations. How stupid do they assume we are? The problem has been that the CAP wings and regions have been sending the usual suspects, the region commander’s and wing commander’s buddies to the training. You know that most often those buddies are the members who are in CAP for the rank, a salute, a ribbon, a medal and politics. We who do the work and are qualified usually get left behind. Karton is one on of those good ole boys. He didn’t qualify for this award (was the assistant legal officer), but they gave it to him regardless since he plays their “political” game. They are wearing USAF style uniforms. This makes the USAF LOOK REALLY BAD! After 9 months in the CAP, I have had enough. SAR, what SAR? The adults in my unit talk about how great CAP was in the past with little resolve for the future. Many are inactive that pay their annual dues but do nothing or ever show up. This I don’t get. Kick out the do nothings. As for the cadets, they are easily recruited, but quickly depart after a few meetings. Why, because of the lack of in all areas. Not that I care any more since I am no longer a part of it. What a waste of my time and money! What a joke! Show the readers the RAND report about sexual assault at pilot training bases. Bowling? Wheless? Soon we will have Ferrie, Pineda and Governale Awards. SMDH. There are too few people left in the program so they have to make use of these characters. Yeah, this doesn’t look good at all. Plus, isn’t Altieri Wheless’ son in law? Isn’t Altieri Wheless’ son in law? Check out this photo of Altieri flying with Harry C.
Naming this prestigious award after Wheless was a HUGE cluster f%%k by CAP National Headquarters. The #MeToo movement would be outraged. That they believe we won’t realize what they are doing or will just take it in silence is what really angers me to find stories on them to give to you. WHY WASN’T WHELESS STRIPED OF HIS RANK AND TERMINATED? We are all held by the same standards, regulations, rules and laws. This is selective enforcement.